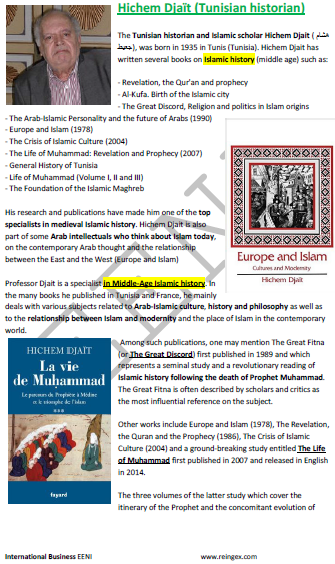 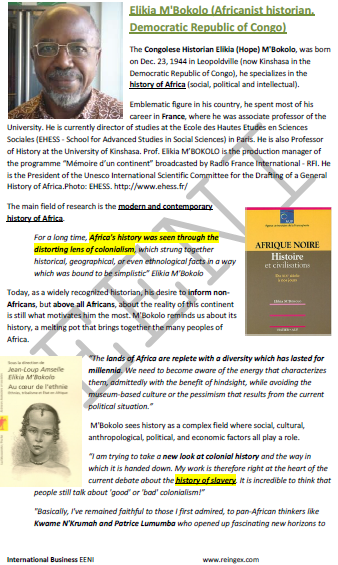 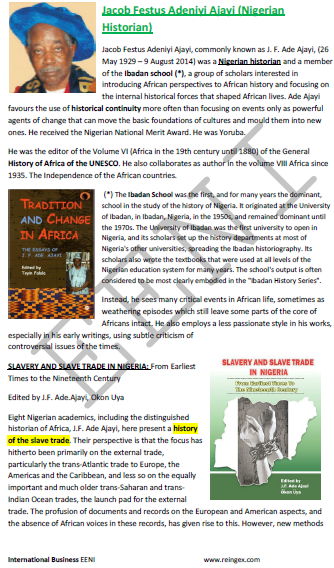 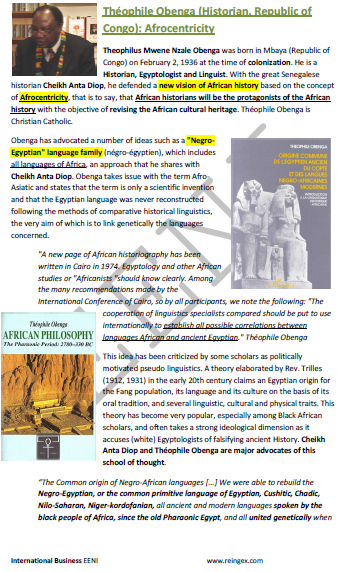 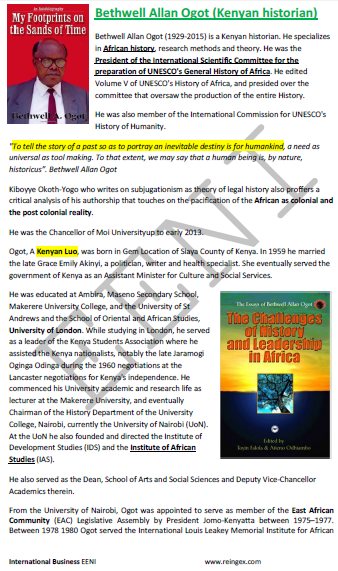 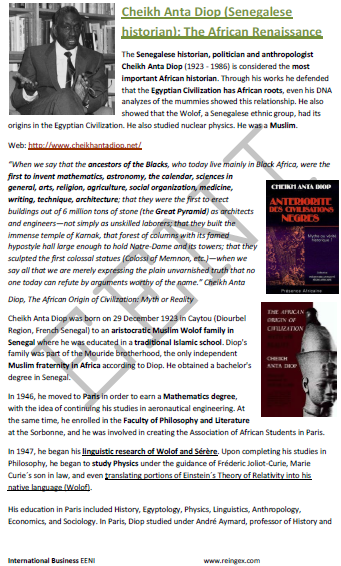 Syllabus of the Online Course (Subject): African Historians. 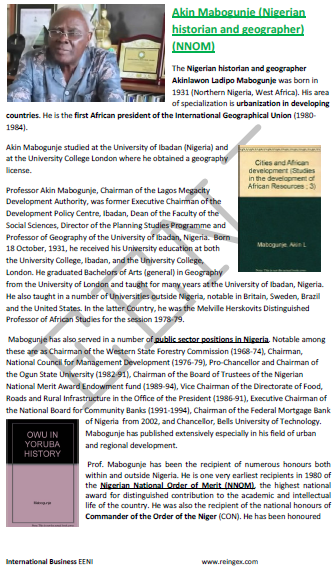 African Renaissance. 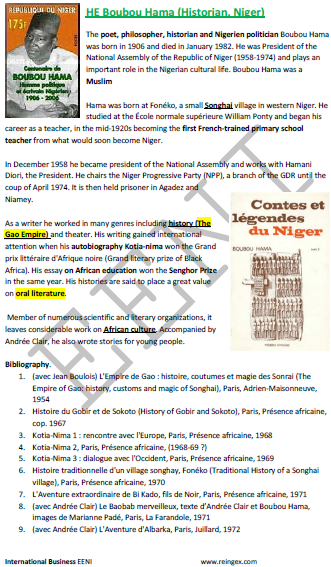 After the famous Senegalese historian Sheikh Anta Diop, revolutionised the vision on African history, from the prehistory to the present, based on the conception that Africans must write his story, the perception of Africa's place in the history of humanity is changing radically. 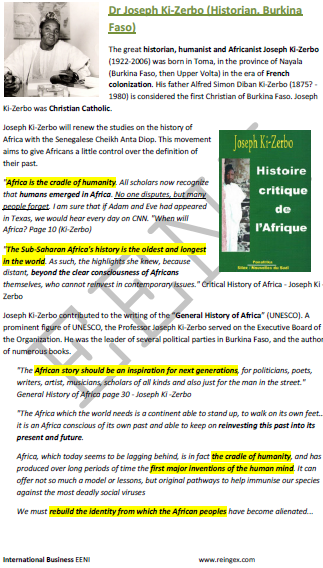 Other leading historians such as Joseph Ki-Zerbo (Burkina Faso), Théophile Obenga (Congo) or Elikia M'Bokolo (Democratic Republic of the Congo) are contributing to rewrite the history, not only the African History but the History of Civilisations. 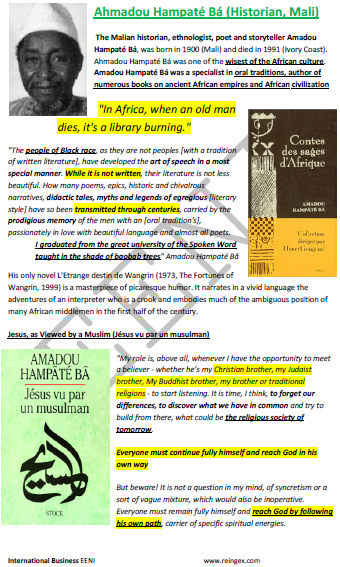 In this subject; we wish to pay tribute to all those historians who allow us to understand this African Renaissance. 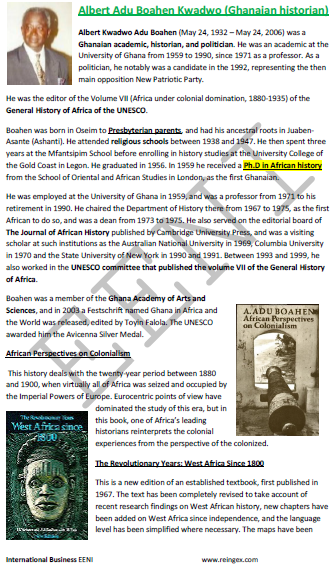 It would be impossible to analyse the works of all African Historians, so we have selected the works of some of the most famous historians. 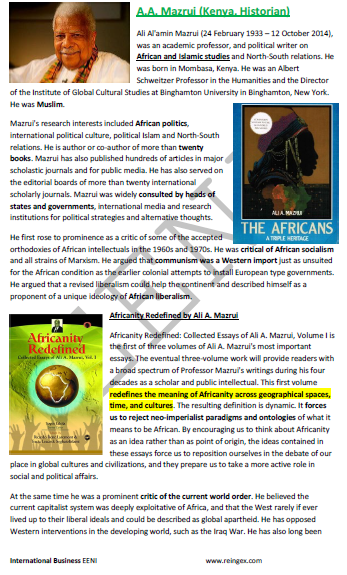 We apologise for all those African historians not included in this analysis.